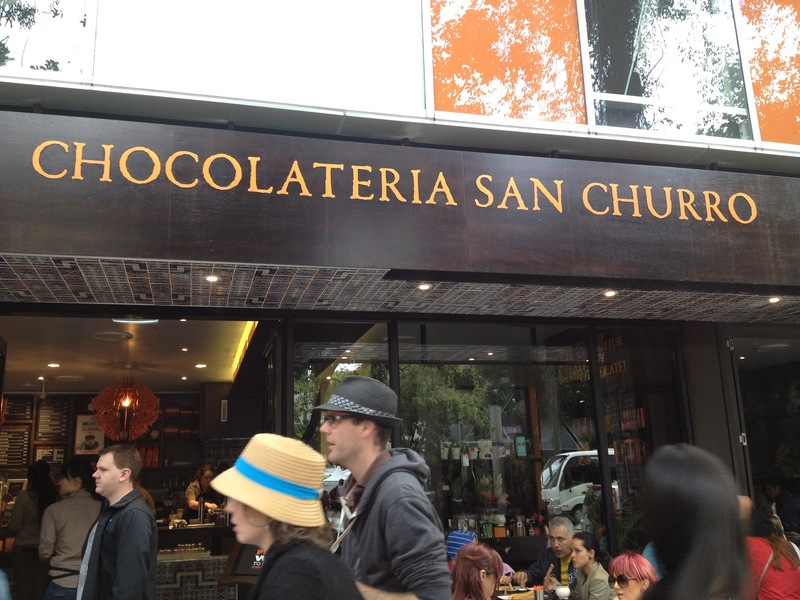 Chocolateria San Churro is yet another chocolate cafe that recently opened up in Southbank. Each time I have walked past there has been a long line of people waiting for table. I visited this chain in Melbourne a few years ago but wasn’t particularly impressed. However, I decided to give it another try as there was no line and I felt like something sweet. We were seated almost instantly, with our orders taken shortly after. 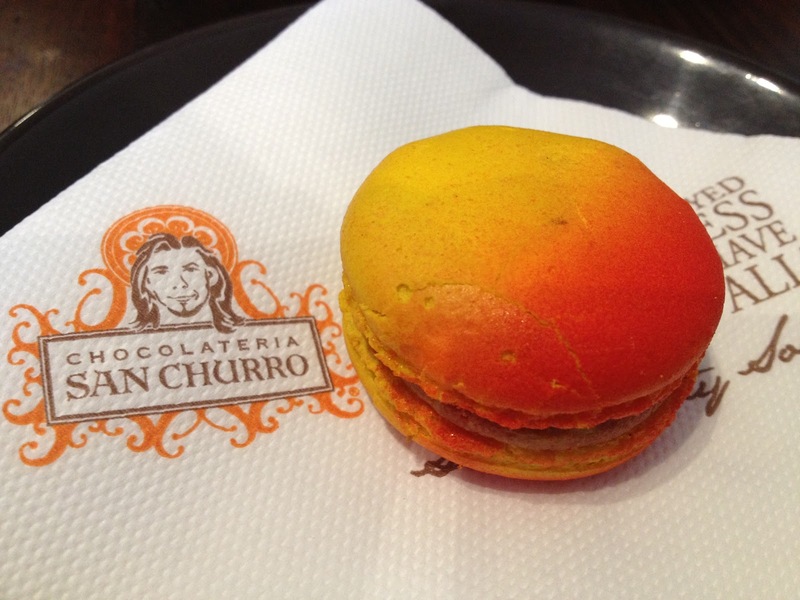 We ordered the churros for two ($13.95) and a passionfruit macaron ($2.50) . The macaron was served almost instantly. I liked the two-tone colour on the shell. Unfortunately, that was where the goodness stopped. I found it to be quite dense, chewing and sickly sweet. We waited for another half an hour or so before the churros arrived. 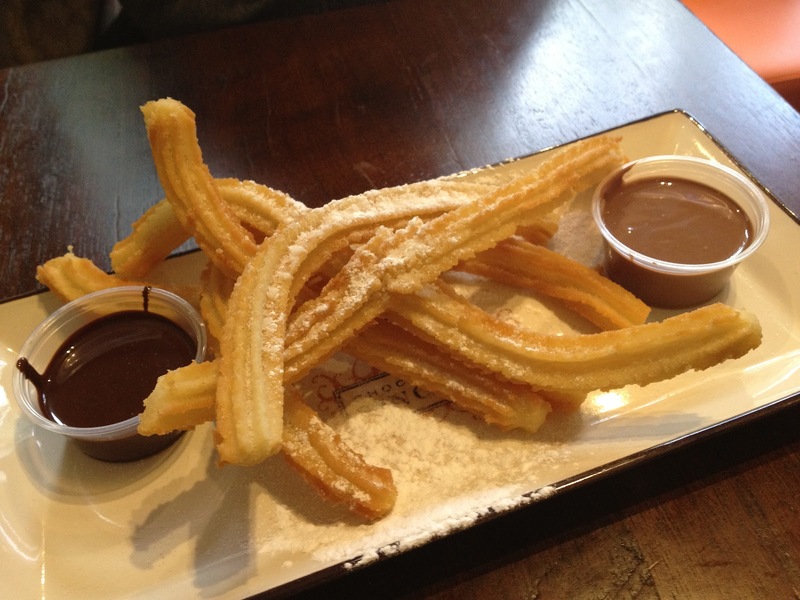 Whilst not particularly photogenic the churros were crispy on the outside and … actually they were just crispy. They were very thin so the soft inside didn’t really exist but they were quite delicious. I quite like the churros, but found that the service could be improved. We overhead a few customers complaining about items not being served or waiting too long for their order. It is worth a try, but I wouldn’t rush back. 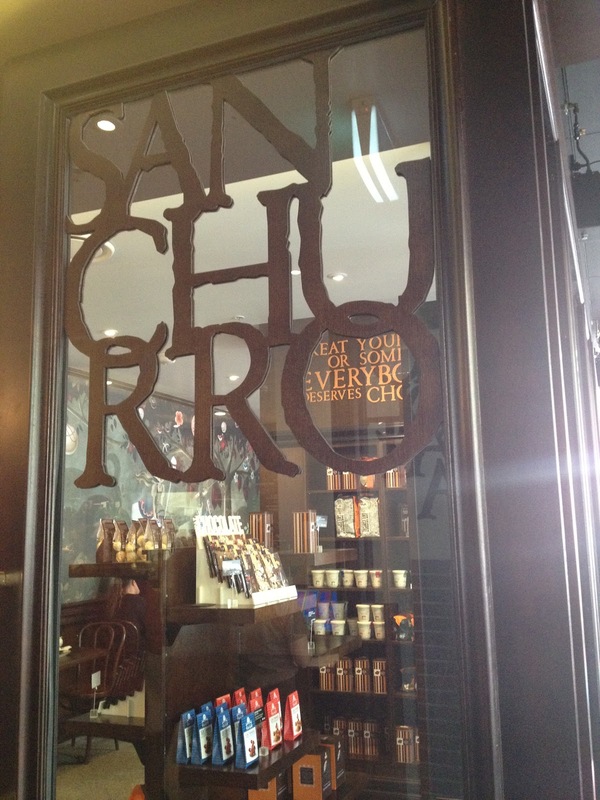 Thanks Lauren, hope you enjoyed the girls day out at San Churros. I will send some suggestions to your shortly.